As we close in on a month until a brand new Spider-Man movie opens it is still strange this will actually be the third time in fifteen years that we've had a new Spider-Man. Of course, the difference with Spider-Man: Homecoming is the fact this latest version of the webslinger will be co-existing with the heroes that have come to define the Marvel Cinematic Universe and fighting alongside them. If anything has become clear through its marketing strategy thus far it's that Homecoming very much wants to take on this John Hughes-like approach to Spidey given Peter Parker's young age and prime high school status. This is taken as a point of pride here as opposed to twenty-somethings playing high school seniors as has been done in the past. This certainly makes the fact we're getting a new Spider-Man flick a win, but it also doesn't hurt that these newest trailers are the best Sony and Marvel have released and make this movie look like a ton of fun. Directed by John Watts (Cop Car) who, along with his writers room, have taken their opportunity to make as retro a movie as we've indeed heard have also made the smart move in not again telling an origin story. From the design of the logo to the very outspoken intent of making this an inexperienced Peter Parker who enlists Robert Downey Jr.'s Tony Stark as something of a mentor (who designed Spidey's suit as we saw in Civil War) this is a fresh approach given this is now the story of a normal kid with super powers in a world where superheroes are more or less the norm. This is timely considering this too is what Spider-Man movies have become in an era where the Guardians of the Galaxy are as widely known as Captain America. All of that said, these latest official and international trailers have made me more excited for this latest Spider-Man movie than anything else we've seen. Still, I sincerely hope Watts has a lot more up his sleeve that will make this latest Spidey iteration stand apart from his protagonist's new pack. 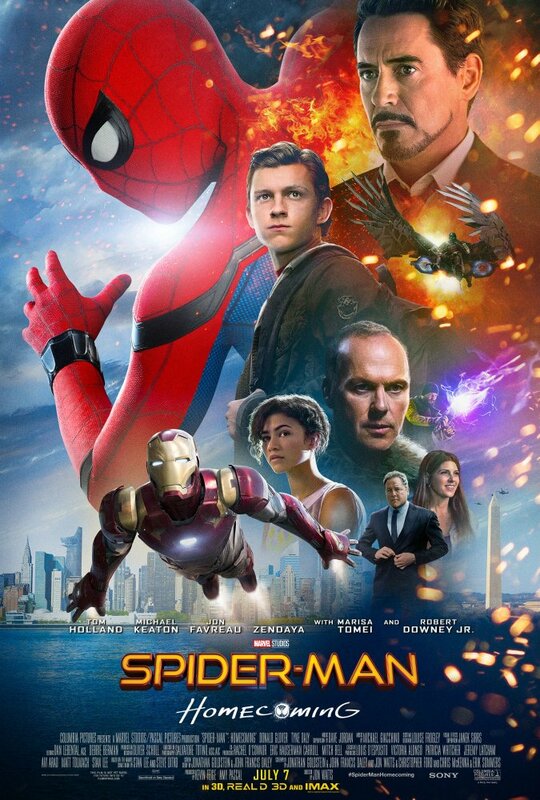 Spider-Man: Homecoming also stars Tom Holland, Jon Favreau, Michael Keaton, Zendaya, Donald Glover, Jacob Batalon, Laura Harrier, Tony Revolori, Tyne Daly, Bokeem Woodbine, Marisa Tomei, and opens on July 7th, 2017.